TCS Off Campus Drive for 2017-18 has started and they are recruiting directly by Direct Registration for students all over India. This year Hiring in TCS Off Campus Recruitment Drive will be tougher for both 2017-2018 batches as TCS wants the best talent, from across the country. 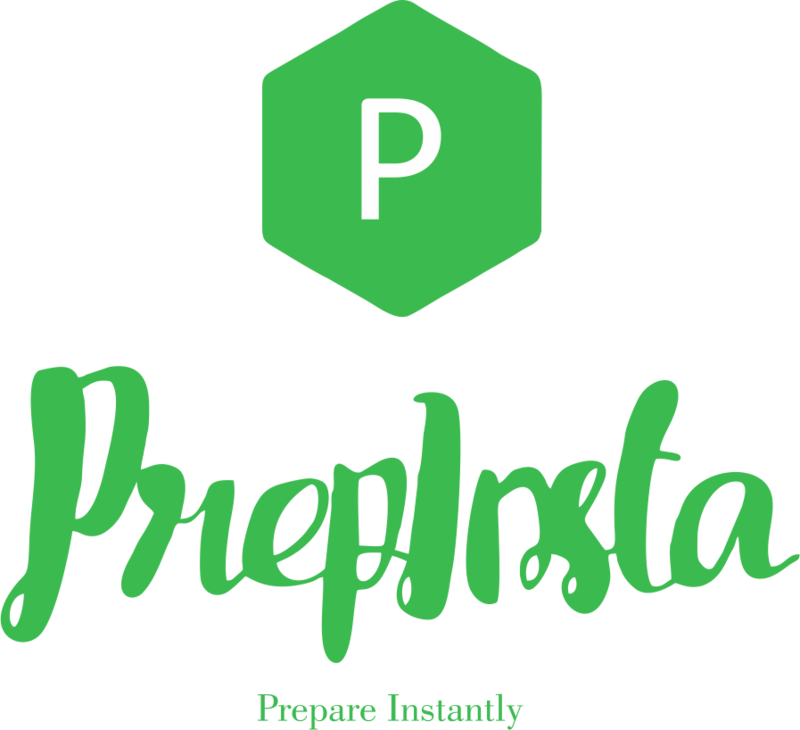 To prepare for the best you need to study from the best website i.e, Prepinsta. 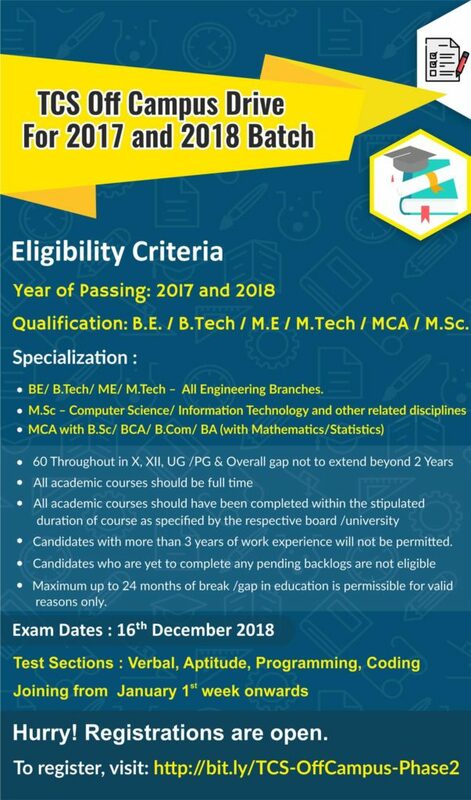 We provide you the best material to study for TCS off campus drive 2018 Phase-2. For current Drive happening for 2017 & 2018 graduates apply here. After the registration you will have a reference number return next to your name remember your Reference ID while filling the application form. 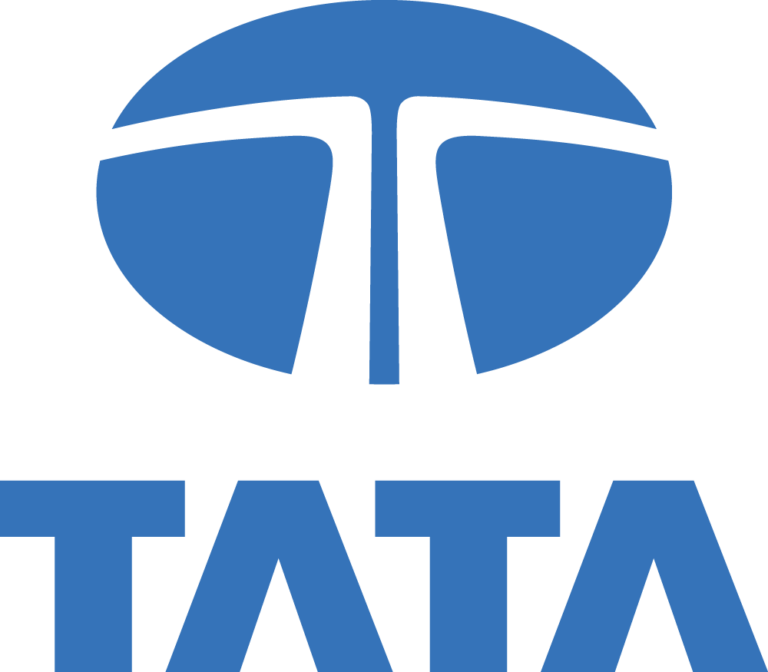 Go to this page careers.tcs.com and click on Register Now the “Application Form” page will get open after this. Fill this Application form completely and a successful completion pop up will come. Students doing forgery while filling the candidate information will be straightaway eliminated even though they clear all rounds successfully. Make sure about this before filling in the details. 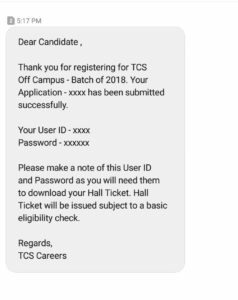 Note :- TCS Reference ID is required to fill the application so if one doesn’t have it, see the above process. After clicking on submit your application, you will get a dialogue box to verify your information. After clicking on ok button your application form will be submitted. After the submission of application you will be able to see your details . A confirmation text will be sent to the registered email id from TCSHUB stating that you have successfully submitted your application. Note – If you have any questions regarding the drive please drop a comment in the comment section below, we will answer it :). Also, TCS has changed its pattern and even questions bank in 2017 October. We have the latest questions and the latest pattern updated in October 2018. All academic courses should have been completed within the stipulated duration of course as specified by the respective board/university. Candidate with more than 3 years of work experience will not be permitted. Candidate who are yet to complete any pending backlogs are not eligible. Maximum up to 24 months of break/ gap in education is permissible for valid reasons only. 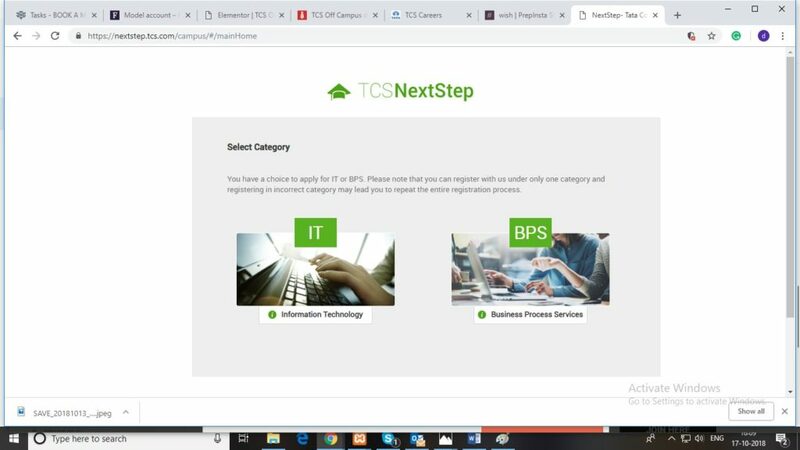 From where should I study for TCS Off Campus 2018? 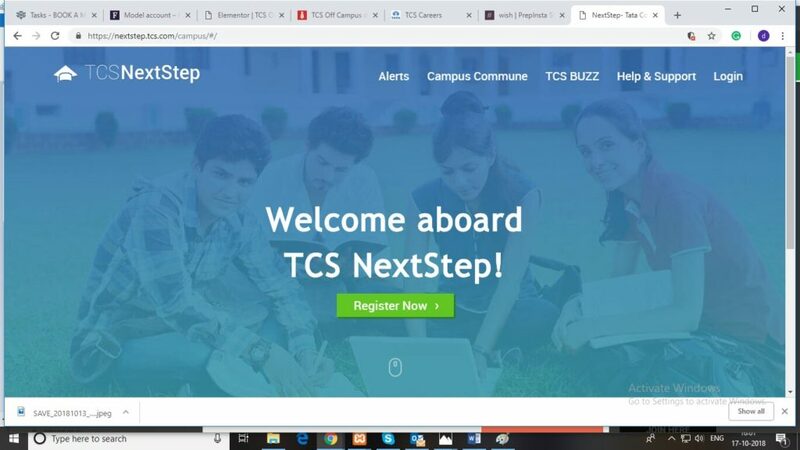 To prepare for TCS Off Campus 2018, on our TCS Dashboard we have the latest TCS Questions, which none of the website have they have 6 year old papers and questions. Must bring Latest Updated Resume. Carry all academic certificates xerox copies. There is negative marking of 0.33 per wrong question in TCS Multiple Choice Questions. Negative marking is only applicable in the Quantitative Aptitude section, English and Programming Logic there is not negative marking for the Creative Coding part of tcs online test papers. All four sections Quants, English Verbal, Technical C MCQ and Coding are there. Try to stick to Technologies and Languages mentioned in Resume. 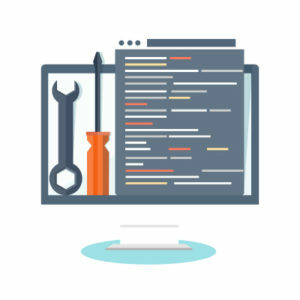 Basic Questions on C / OOPS / Software Engineering / DSA i.e. you will necessarily be asked questions from these. If Resume mentions the any of the following -Basic Questions on DBMS / Computer Networks / Operating Systems, then ask questions on the same. Stick to Technologies and Languages mentioned in Resume. Very basic Questions on C / OOPS / other programming Language mentioned in Resume. Talk about Final year Projects – Can ask to make Circuit Diag / Diagrams / Formulas / Definitions only from topics related to Final year project of his respective Branch. Ask student about his favourite subject and ask basic questions on it. If Resume mentions any object Oriented Language or Data Structure then, interviewer can also ask questions from those. But, TCS, Wipro will ask you basic coding questions like Palindrome, pattern printing etc even if you’re from Non CS IT round. 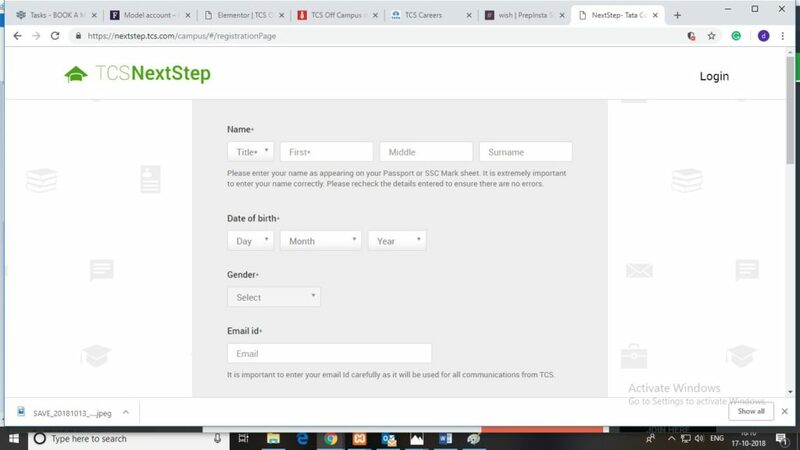 TCS does ask C / OOPS concept to all Branches. Well, you’re applying to an IT company they expect you to know a little about C / OOPS theory. All bulk companies give freedom of topic selection to you, generally the interviewer will ask you the favourite subject and will ask questions from that, or will ask you the questions from topics, chapters and projects mentioned in your Resume.